Webguru Infosystems is a reputed Drupal Web Development company in India offering custom solutions to any business, big or small. We have a team of expert Drupal developers, having the knowledge and expertise to use the versatile CMS platform and create user-engaging websites and high performing web applications. Ranging from small one-user blogs to large community websites, we are adept at developing each and all. Our reputation speaks for itself when it comes to Drupal development services. A highly customizable CMS platform, Drupal is reputed for its Security, Scalability and Flexibility. Built on the LAMP platform, its Entity, Field and Form APIs make structuring and managing content easier. Also, the built-in modules like Taxonomy, Menu, Content-Type, Block etc. help in efficient structuring, organizing, and filtering content. With its caching mechanism and microblogging features it gives you robust websites for businesses of any size. A Drupal eCommerce store helps you easily manage products, orders, customer profiles, payment transactions and more. In a nutshell, Drupal’s vast resources, security features, interoperability, scalability, and manageability make it one of the best CMS platforms out there. Hire Drupal developers from Webguru Infosystems to create sophisticated website for your business. It is very important to have a concrete plan to achieve the desired results. At Webguru Infosystems, we follow a step-by-step procedure in creating highly robust and dynamic websites on the Drupal platform. This is the starting phase of our Drupal web development process. We gather all business and technical data, analyze the same and create a blueprint of action. We jot down the project requirements and plan our way into developing a relevant solution. We identify the risk areas and brainstorm ways of mitigating the same. Lastly, we do some digging on your competitors to gain an idea of what they are doing so we can develop a solution that works better. Once the project is on, our designers create unique designs that stand out. They work hand-in-hand with the developers to maintain a parity. All our Drupal website designs are responsive with an ability to entice the users to convert into prospective customers. Be it information architecture or prototyping, we excel in applying the best strategies to develop an experience that is unmatched. No two projects are same, requiring thus a custom configuration based on the functional needs of each project. Having more than 5 years of experience in Drupal, our developers are equally experienced in Drupal back-end configuration and front-end theming. They are also quite active in the Drupal community, thus familiar with the latest trends in Drupal Web application Development. We take your suggestions and feedback in every step of the development process to ensure the end product is delivered according to your needs. As a reputed Drupal Development company in India, our job does not end with delivering the website. We also offer post deployment free support for 90 days for fixing bugs or issues, if any. Get a fully functional, stable and secure website with our Drupal Web Development services. We boast of the highest standards and programming integrity when it comes to Drupal and other CMS platforms. UI & UX – We create engaging designs and test user experience to ensure their performance and visual appeal. Theme Development – Our Drupal developers build attractive themes customized to your business requirements. 3rd Party Integrations – We integrate 3rd party plugins to ensure the business objectives are met quickly and economically. Custom Module Development – For exclusive requirements we develop functional modules customized to your business needs. Web Application Development – We build high-performance online portals like online booking systems, job & property search portals and more. Maintenance & Support – We also provide support and maintenance on existing Drupal based websites. Webguru Infosystems is an ISO 9001:2015 certified company offering high end solutions as per your business requisites. Hire Drupal Developers from us for faster turn-around at the most reasonable price point. Drupal is an open-source CMS (content management system) which has earned quite a significant popularity with its features. 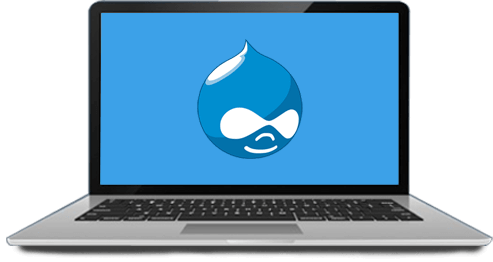 By using Drupal, you can create complex websites easily because there is a Drupal community to give you any kind of assistance in the designing and web programming process. It also offers an array of modules.